Many creationists believe that the bulk of scientific evidence for a recent creation comes from the fields of geology, physics, and astronomy and that biology and genetics have little to contribute. However, data that confirm a young creation are rapidly emerging from genetic studies performed by both creationist and secular scientists. Two recent research studies performed by secular scientists support genetic entropy. Their data were based on rare single-nucleotide variation observed in the protein-coding regions of the human genome. Over 80% of this variation was associated with genetic entropy exhibited by heritable diseases.3-7 Because protein-coding regions are less tolerant of mutation than other parts of the genome, these regions give more reliable historical genetic information. In the case of humans, Adam and Eve were originally created with perfect, error-free genomes—no mutations present. Then sin entered the world, and the whole creation became cursed. The human genome has essentially been on a downhill slide ever since. We are not gradually evolving better genomes. Instead, the recently measured degradation patterns and rates clearly match the biblical model and timeframe. Sanford, J., J. Pamplin, and C. Rupe. 2014. 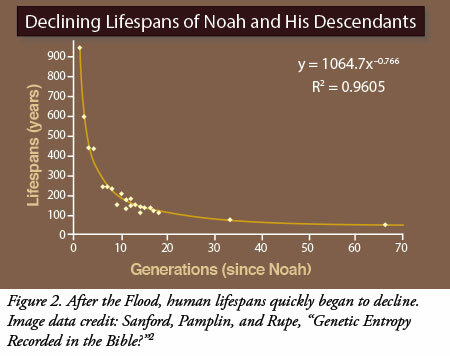 Genetic Entropy Recorded in the Bible? FMS Foundation. Posted on kolbecenter.org July 2014, accessed July 25, 2014. Tomkins, J. Genetics Research Confirms Biblical Timeline. Creation News Update. Posted on icr.org January 9, 2013, accessed July 25, 2014. Tomkins, J. 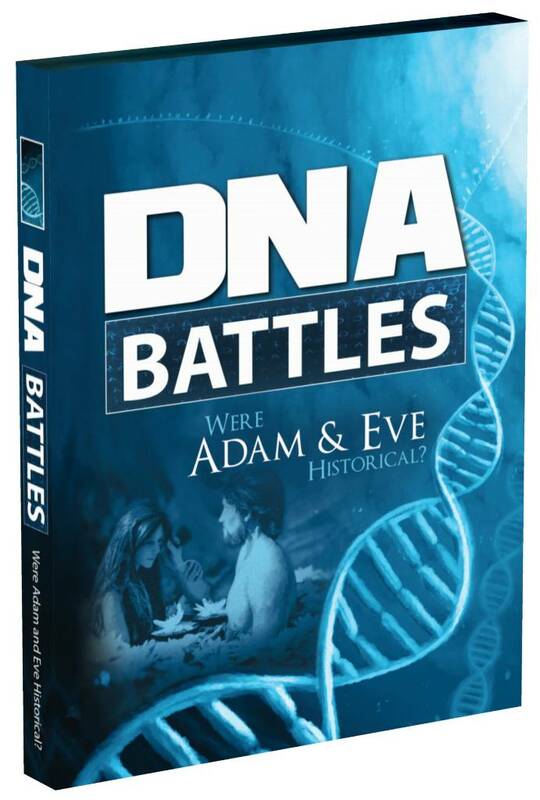 Human DNA Variation Linked to Biblical Event Timeline. Creation Science Update. Posted on icr.org July 23, 2012, accessed December 31, 2012. Keinan, A and A. G. Clark. 2012. Recent Explosive Human Population Growth Has Resulted in an Excess of Rare Genetic Variants. Science. 336 (6082): 740-743. Thomas, B. 2012. A Recent Explosion of Human Diversity. Acts & Facts. 41 (9): 17. Jeanson, N. T. 2014. New Discoveries from 2,700 Species Comparisons. Acts & Facts. 43 (2): 9. 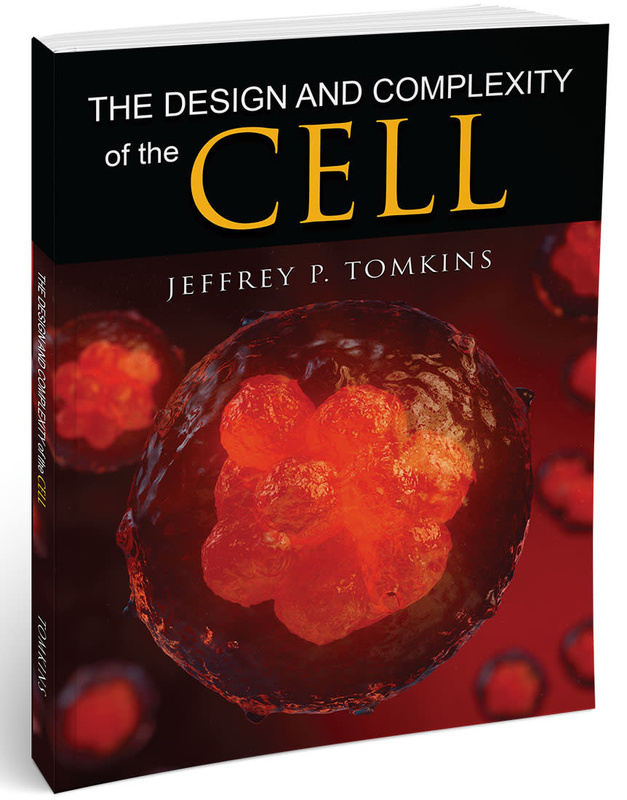 Cite this article: Jeffrey P. Tomkins, Ph.D. 2014. Genetic Entropy Points to a Young Creation. Acts & Facts. 43 (11).